Dr Kietzmann started his career as an Officer in the German Airforce before moving onto obtaining a PhD in experimental physics from the Cologne Research Center Juelich. Since 1997 he has been working for Sanofi /predecessor companies, with 10 years in production, especially Insulin, Liquida, then 4 years as an expat in Japan as head strategy & product transfer, heading projects on Insulin-Pens, Blood Glucose monitoring systems and spinal implants. 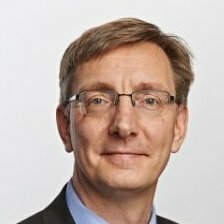 More recently, from 2007 onwards Dr Kietzmann worked for Sales & Marketing in Sanofi-Germany with several years in Strategy /Business Development, with the last 4 years as „Director Innovation“ for Sanofi Germany-Austria-Switzerland working on Digital Health /Medical Devices /Diagnostics from scouting other development to implementation.